Meet Megan. When Megan was young, she helped her grandma bake cookies and brownies. She dreamed of a job where she could bake all day. 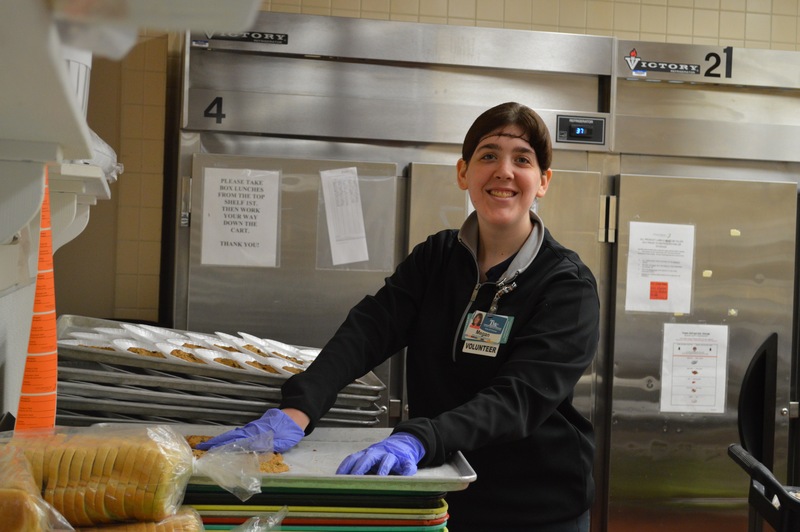 Through Project SEARCH, a partnership between Goodwill, North Kansas City School District, Children’s Mercy, Missouri Vocational Rehabilitation Services, Center for Human Services and Truman Medical Center, Megan realized her dream. Project SEARCH is a high school transition program that provides real-life work experience to help youth with significant disabilities make successful transitions from school to adult life. Students participate in three 10-week internship rotations where they learn job skills and receive on-the-job training. For Megan, each internship helped her overcome barriers to employment and taught her valuable workplace skills. First, Megan had the opportunity to work in an emergency room setting, where she assisted in preparing rooms for new patients. She stocked rooms with needed supplies and ensured that rooms were completely sanitized and ready to welcome the next patient. The nurses were impressed with Megan’s work ethic, saying she often had the room prepared before they asked. Megan’s grandma would be so proud – at the completion of Project SEARCH, Megan earned a job with Aunt Mary’s Cookies. Good goes further.™ and made a girl’s dream come true.